As a patient at Student Health Service, you have choices, rights and responsibilities. Our mission is to provide you with the very best in healthcare; however, we ask that you participate in your own healthcare by being an informed and active consumer. Effective and high-quality healthcare requires a cooperative relationship between the patient and the health care team. For this reason, it is important that you understand that you have rights and responsibilities in regard to your services and experiences at the Student Health Service. Take time to review the Rights and Responsibilities,and do not hesitate to talk with us, should you have any questions. 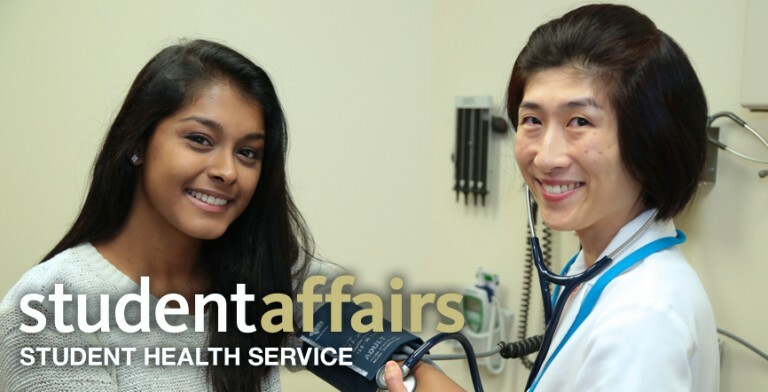 Student Health Service does not discriminate due to race, color, creed, national origin, religion, disability, sexual orientation or veteran status. We maintain patient records as mandated by the Health Insurance Portability and Accountability Act (HIPAA) and Pennsylvania State Law. No member of the University’s staff, other than members of the staff directly involved in the care of the patient, is entitled to information from any patient record without the student’s written consent* or a court-ordered subpoena. No parent of an adult patient (aged 18 years and older) or of an emancipated minor (a person who is under the age of 18 and a graduate of high school, married or has been married, and/or pregnant or has been pregnant) is entitled to receive confidential information about a patient unless the patient gives written consent*. With written consent of the patient (or his/her parent or guardian if he/she is a minor and not emancipated), a copy of part or all of a medical record may be sent to an outside physician, medical facility, or other institution. Verbal permission may be obtained with witness verification. With written consent* of the patient (or his/her parent or guardian if he/she is a minor and not emancipated), copies of pertinent records may be provided to attorneys, investigating agencies, or copying services. Cases in which legal statutes require reports to be made, for example, reporting of communicable diseases.